440 x Double Sided Adhesive Foam Squares measuring 5mm x 5mm and 2mm deep. These Double Sided Adhesive Craft Foam Pads are great for greeting cards, decoupage, scrapbooking and many more craft and hobby projects. 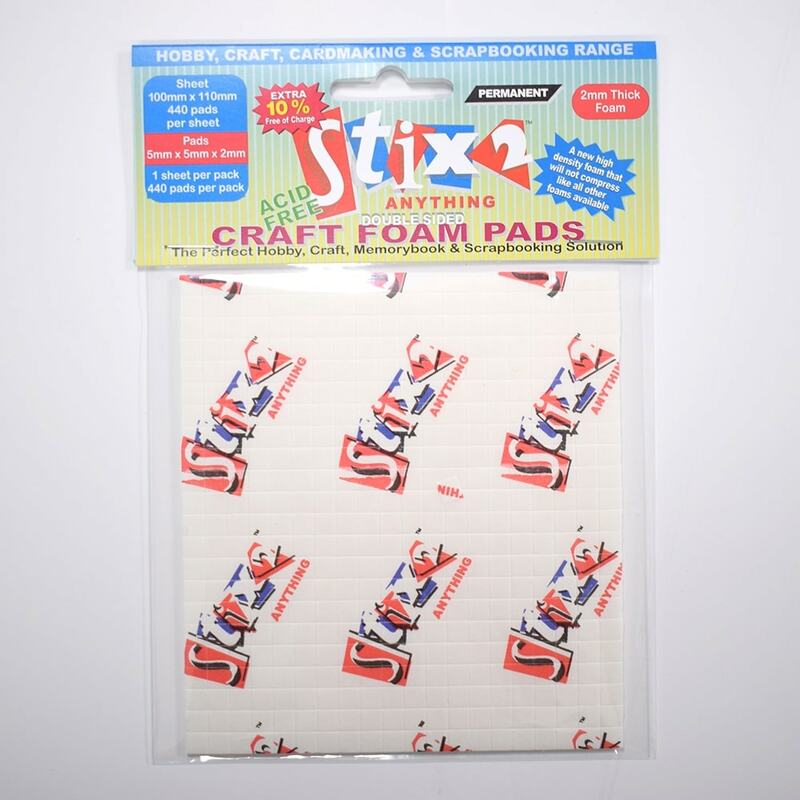 They are perfect for creating three-dimensional stamp art and for mounting very small objects.Easy to use and apply simply peel the pad from the backing sheet and press to secure items. 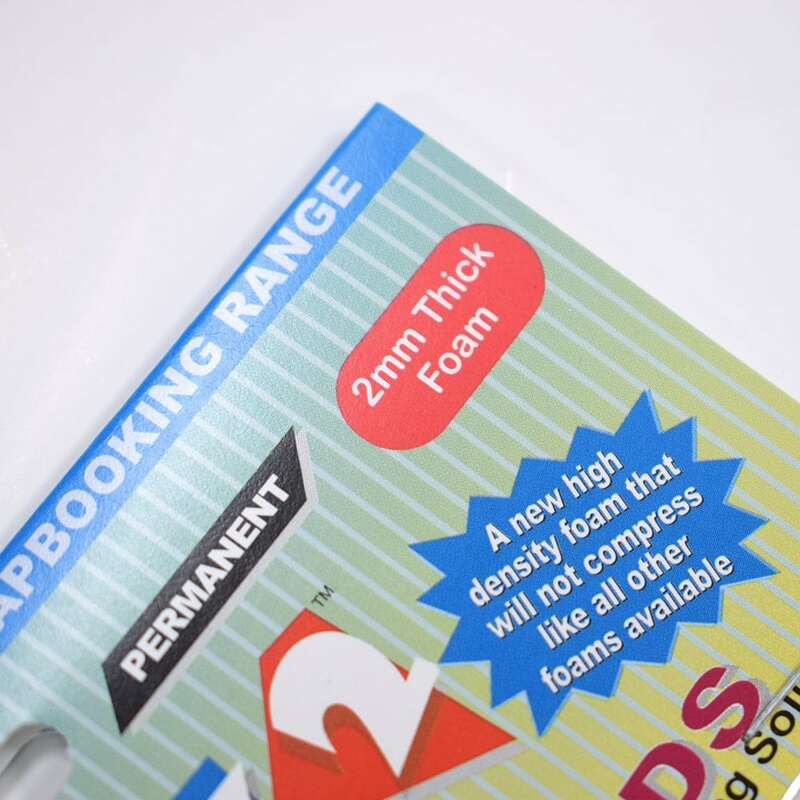 These craft foam pads are permanent and acid free making them suitable for sticking many objects.